The THR10C takes the personal amplifier concept to a new level of audio fidelity. The finest tube amps respond to a player's every touch - with picking dynamics and playing style adding as much to the tone as your guitar and pickups. Using Yamaha's exclusive VCM (Virtual Circuitry Modelling) technology, THR10C perfectly recreates the unmistakeable response and dynamics that only a boutique combo can provide. 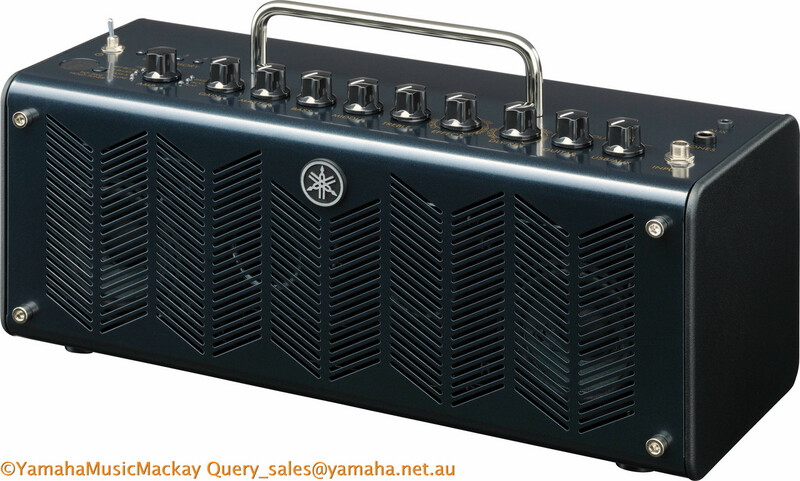 Provides 10 Watts of power through two hi-fi stereo speakers and features Virtual Circuitry Modelling (VCM) for authentic tones, five Boutique Amp models plus 'Bass', 'Aco', and 'Flat' settings, morphing tone control, dual stompbox and delay/reverb effects plus Tape Echo, 3-band EQ, USB connectivity, AUX-out level control, Steinberg's Cubase AI software and can be battery or AC powered.